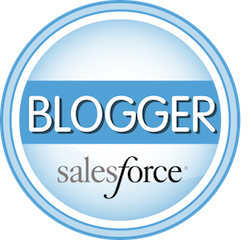 People that know me know that I love Salesforce. 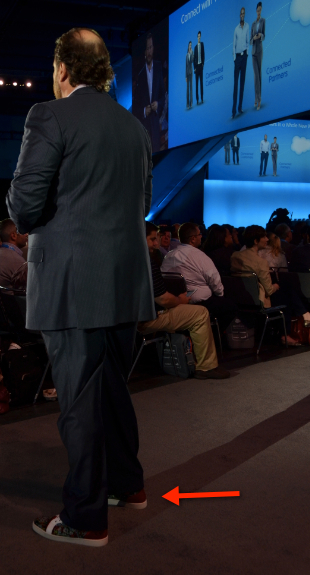 I consider myself to be a “super fan” not only of Salesforce.com, but also of their CEO Marc Benioff. 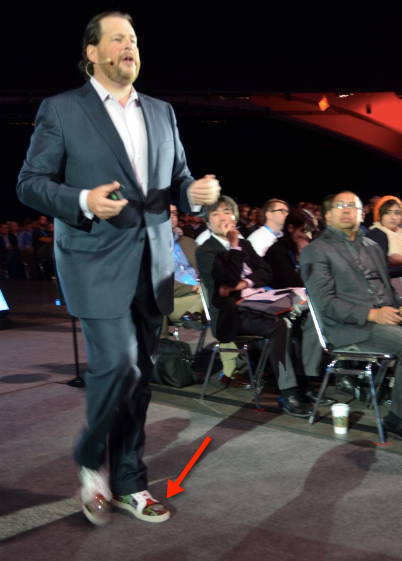 Though there were some incredible announcements made during Dreamforce ’12 and “amazing” demos, we all know the real excitement this year centered around Marc Benioff’s shoes. 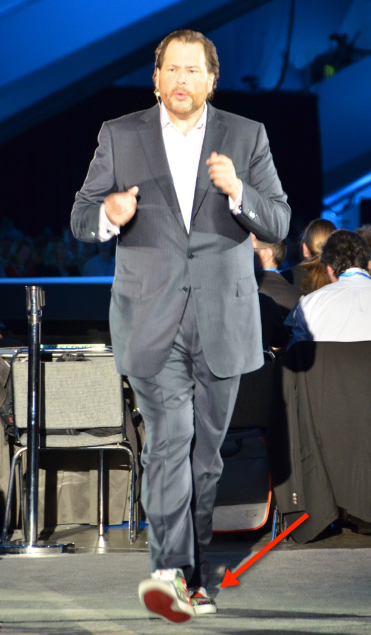 Though Gangnam style is quite the rage right now, for the Dreamforce faithful it’s Benioff Style! 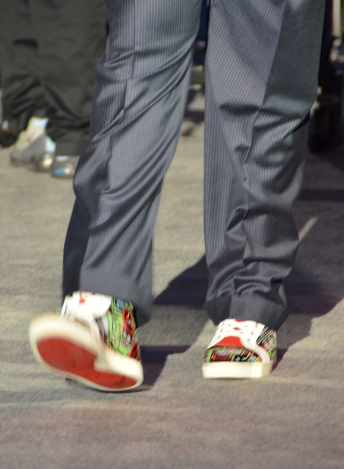 In years past his socks stole the show at the keynote. 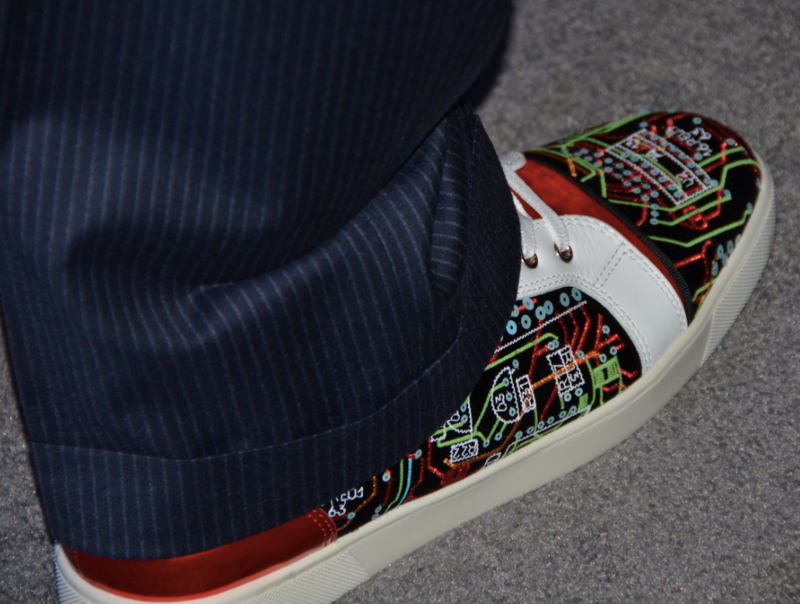 This year it was his "amazing" Christian Louboutin sneakers. 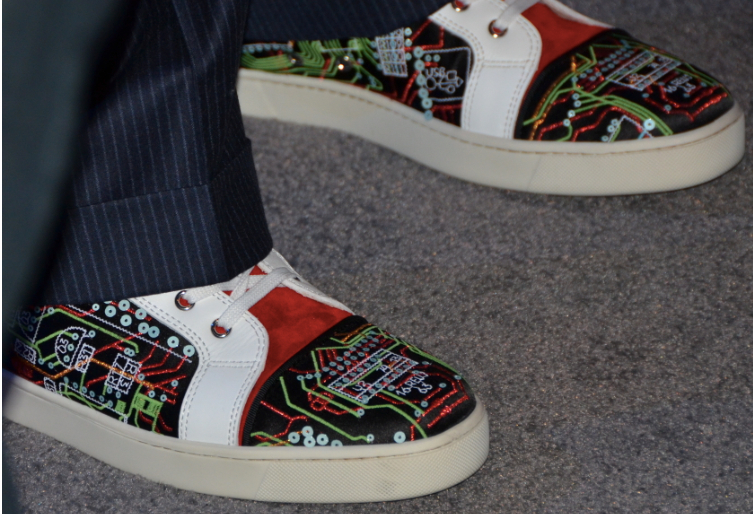 It’s hard to get this close to Marc’s shoes with all the security, but I think I delivered (though I’m not sure if I’ll ever be allowed back to Dreamforce!). Yes, I took every one of those pictures. Did I mention I’m a super fan? 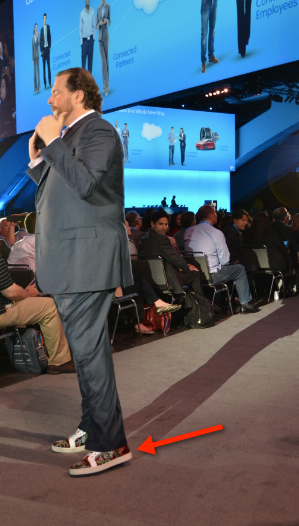 We actually got to see a sneak peak of Benioff’s shoes a couple of days before Dreamforce (9/13) at this “Fireside Chat.” If you speed up to the 11:30 minute mark of this video Marc Benioff talks about why he wears the shoes. 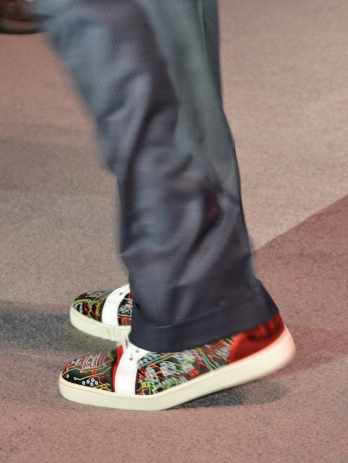 If you would like to buy the shoes that Marc wears, you can (if you have $1,300 to drop on shoes). 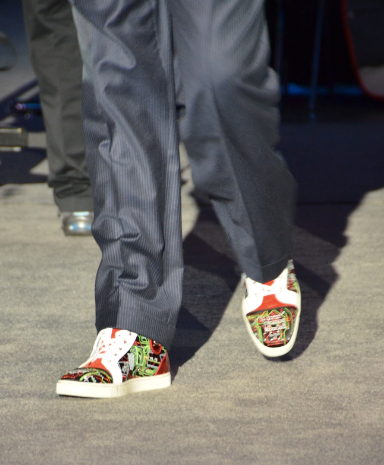 UPDATE – no longer available on the Christian Louboutin website. 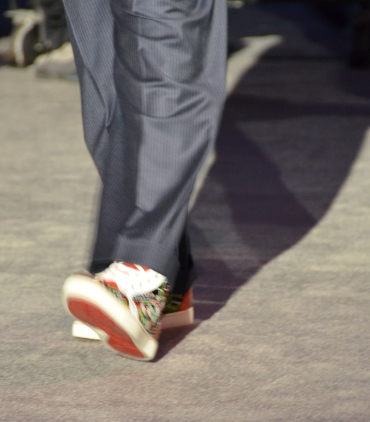 New Blog Post: see the shoes that Marc Benioff wore onstage at Dreamforce 13.